Criminal Baking, Santa Rosa: Yes, it’s in an odd location in the old-town arts district of Santa Rosa, yet also a great joy to those who discover this shrine to the oven. Start at the front counter, which is stocked with muffins, Cheddar-bacon scones, cupcakes, and specialties like shortbread-crust lemon tart fluffed with meringue topping and tea sprinkles. Breakfast salutes include baked banana challah French toast, gluten-free blueberry-coconut bars, English muffins stuffed with egg, lemon chutney, maple sausage and arugula, and seeded sourdough toast topped with eggs, sun-dried tomatoes, goat cheese, bacon and greens. 463 Sebastopol Ave., Santa Rosa, 707-992-5661. 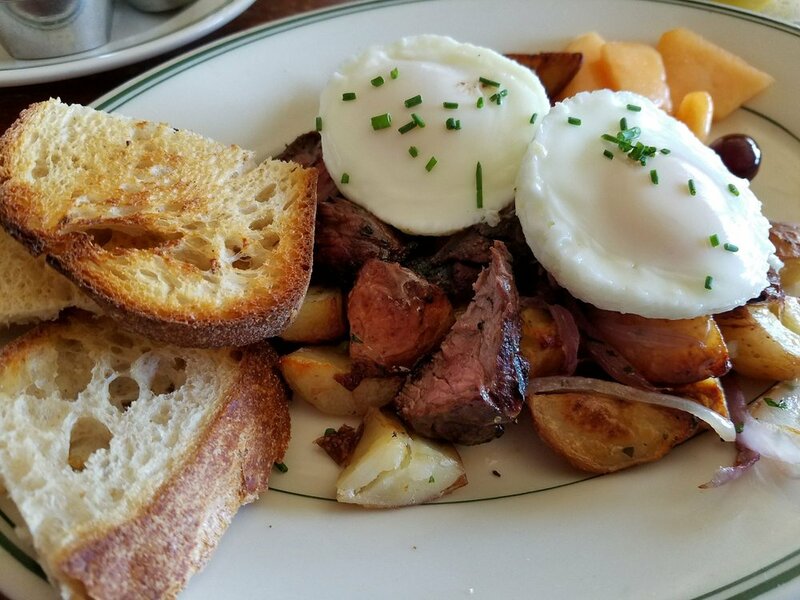 Dierk’s Parkside Café, Santa Rosa: There’s literally no room for pretension at this intimate neighborhood restaurant where regulars sip coffee at the bar and chat up waitresses buzzing from table to table. 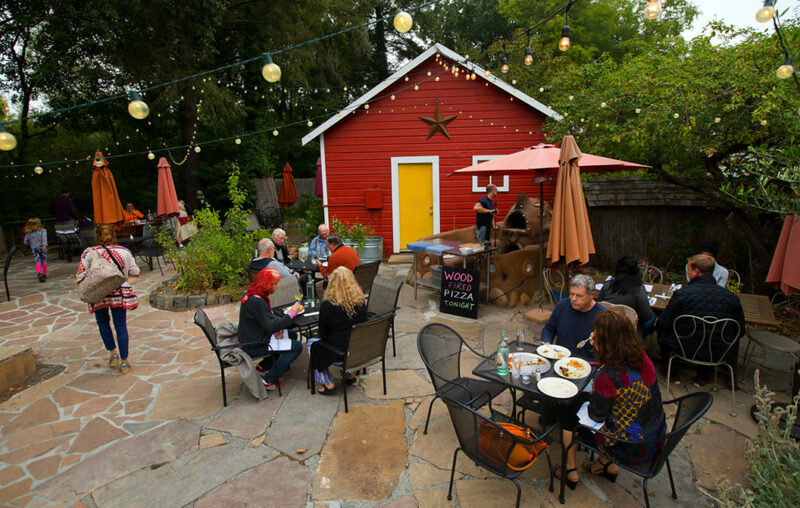 Located just across Santa Rosa Avenue from Las Palmas, it's a surprising place to find one of Wine Country's favorite toques, Mark Dierkhising. But over the years, he's created a morning institution popular with bed-headed kids, apres-bike groups and in-the-know Wine Country visitors hunched over Chicken Fried Steak, Huevos Rancheros and quite possibly the world’s best hangover cure --the Country Benedict whose magical powers include a warm baguette, scrambled eggs, bacon, mushrooms, oven-dried tomatoes, spinach, hash browns and Hollandaise sauce. 404 Santa Rosa Ave., Santa Rosa, 707-573-5955. Carlo's Country Kitchen, Santa Rosa: It’s nothing fancy, but there’s some seriously good grub here, served up in mega portions. Biscuits and gravy, pancakes, scrambled eggs, Huevos rancheros. 90 College Ave., Santa Rosa, 707-569-9734. 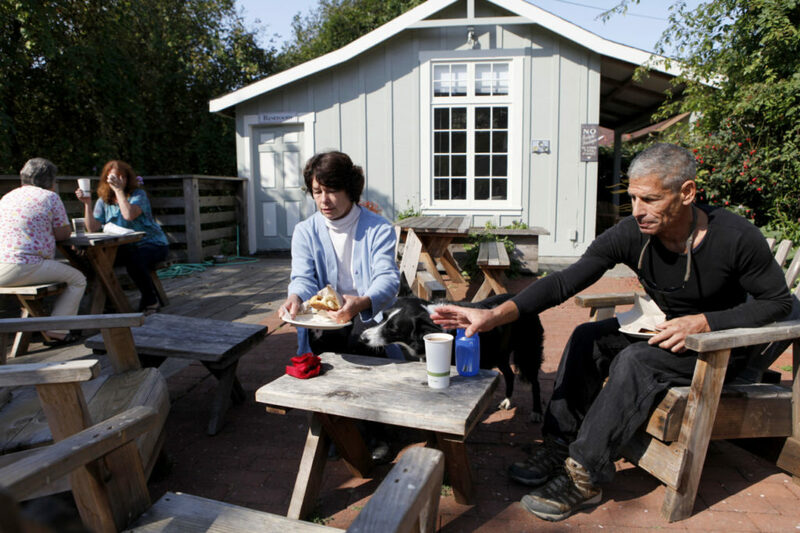 Colibri Café, Santa Rosa: Barbeque for breakfast? Only if it’s bbq pork rib hash with peppers, onions, pineapple, poached eggs and Chipotle Hollandaise, a Santa Rosa original. 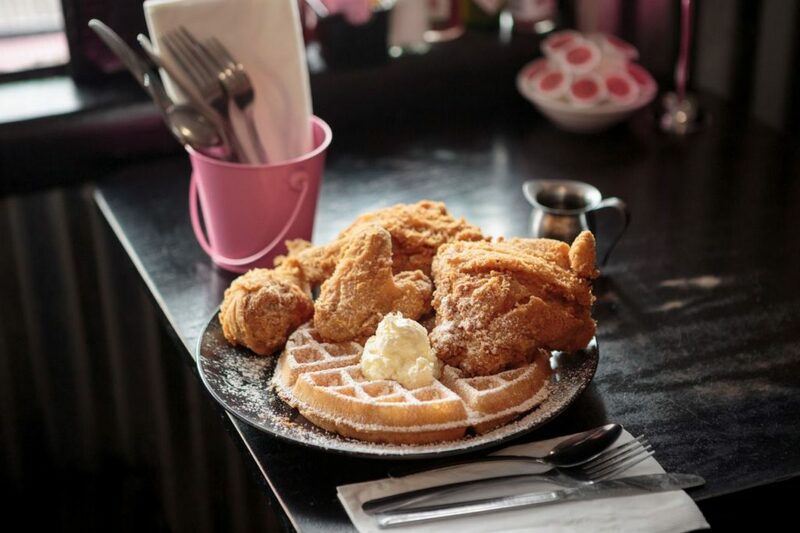 We’re also pretty stoked about their chicken and waffle breakfast with rosemary maple syrup. Fortunately Howarth park is just across the street to work off all this deliciousness. 4233 Montgomery Dr., Santa Rosa, 707-538-2726. Naked Pig Café, Santa Rosa: In a neighborhood of tattoo parlors and auto smog stations sits this unlikely teal clapboard cafe with chalkboard illustrations displaying the all-natural ingredients in the dishes (waffle = organic flour, milk, butter and eggs). The seasonal, local specialties from owners Dalia Martinez and Jason Sakach cater to a hip, crowded scene at the three communal tables of weathered wood. The menu changes frequently, no surprise, but what’s on it is always exciting. Savory bread pudding is stocked with wild fennel sausage from pasture-raised pigs, Santa Rosa sweet corn, Anaheim peppers, kale and Gouda, all topped with an egg. An English muffin arrives capped in artisanal fromage blanc and roasted grapes with bacon and a petite salad. 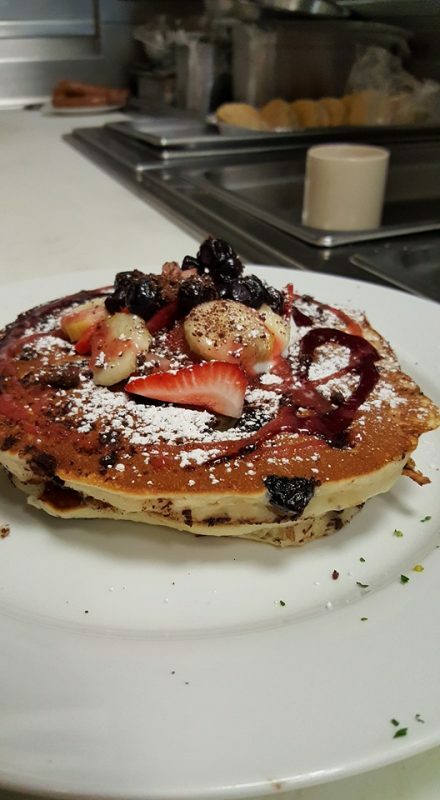 You’ve never had breakfast like this before. Naked Pig Café, 435 Santa Rosa Ave., Santa Rosa, 707-978-3231. 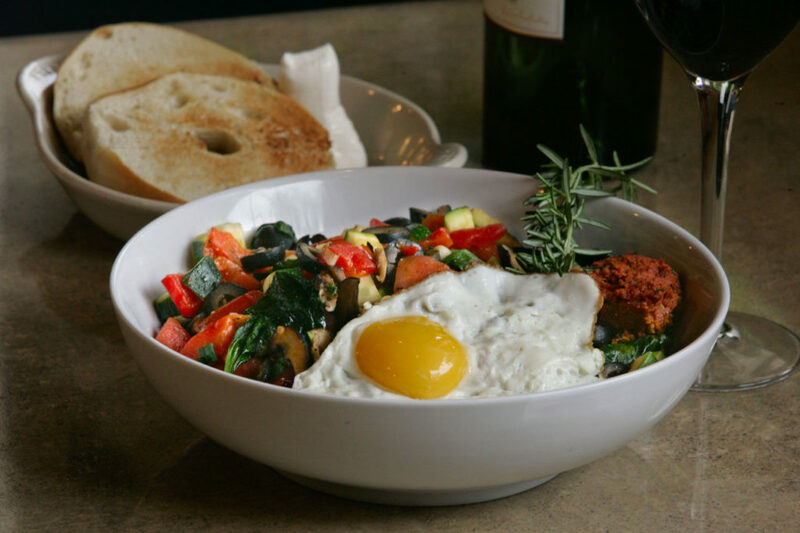 Jeffrey’s Hillside Café, Santa Rosa: Former John Ash & Co. chef brings Wine Country dining to breakfast. 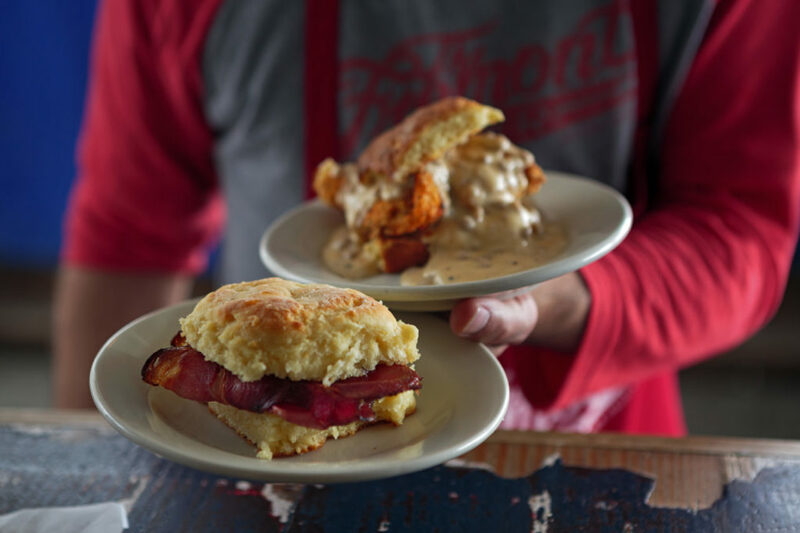 Don’t miss their chilaquiles (best we’ve had), Southern-inspired biscuits and gravy, sticky bun french toast and cheese blintzes with lemon curd. Lines can get long on weekends, so put on your patient hat—it’s worth the wait. 2901 Fourth St., Santa Rosa, 707-546-6317. 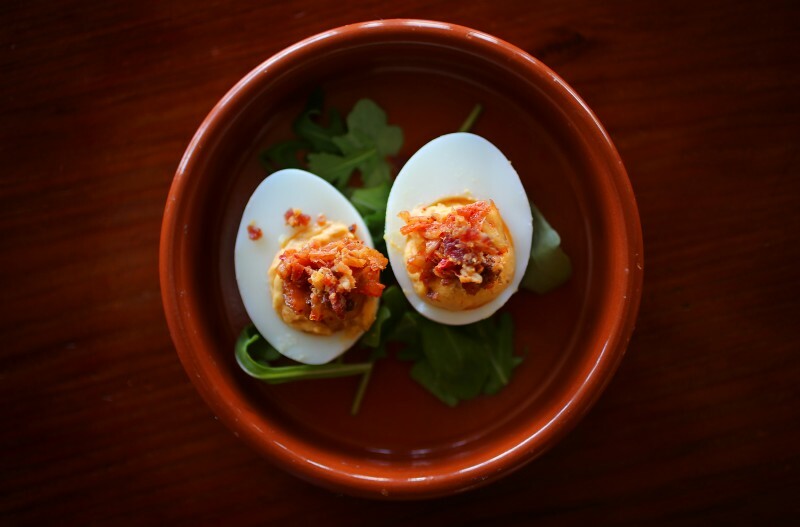 The Spinster Sisters, Santa Rosa: Eggs, we hardly know ye. The humble ovum is put on a pedestal here, dressed in cocktail attire and gleefully gussied-up in innovative ways. Take the deviled egg capped in house-made kimchee and bacon; tostadas mantled in puréed Rancho Gordo Midnight beans, poached egg, cabbage, radish, cotija cheese and salsa rosa; or a lively shrimp and grits dish decorated with two poached farm eggs, tasso ham and Tabasco sauce. The artsy, wood-trimmed style of the old home converted into a bistro adds an extra layer of interest. 401 S. A St., Santa Rosa, 707-528-7100. 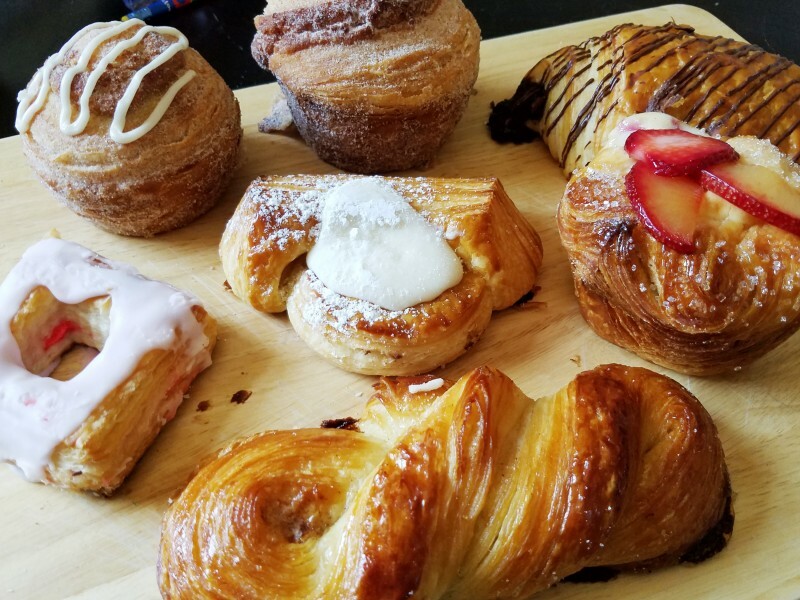 Bright Bear Bakery, Petaluma: Bright Bear Bakery isn’t easy to find, but a pilgrimage is worth the effort, as long as you’re early. The chickpea scramble with sweet potatoes and harissa (vegan) is great no matter what your diet, and a breakfast focaccia with ham egg and cheese is perfect when paired with a chocolate croissant, luxe cream cheese danish and cranberry scone. And did we mention their twice-baked croissants? These little beauties get stuffed with lemon curd and strawberries, then rebaked for a crispy, buttery sweet treat. 2620 Lakeville Hwy., Suite 350, Petaluma, 707-291-10181. Sax’s Joint, Petaluma: The 1950s theme is a bit kitschy, but fun, with black- and-white tile and bubble-gum pink and chrome accents. There are also wisecracking, costumed servers straight out of the movie “Grease.” The kitchen is serious, however, with first-rate cinnamon rolls, biscuits and gravy, a half-pound burger patty with eggs and hash browns, and the crowd-pleasing Elvis waffle smothered in peanut butter and banana. 317 Petaluma Blvd S., Petaluma, 707-559-3021. 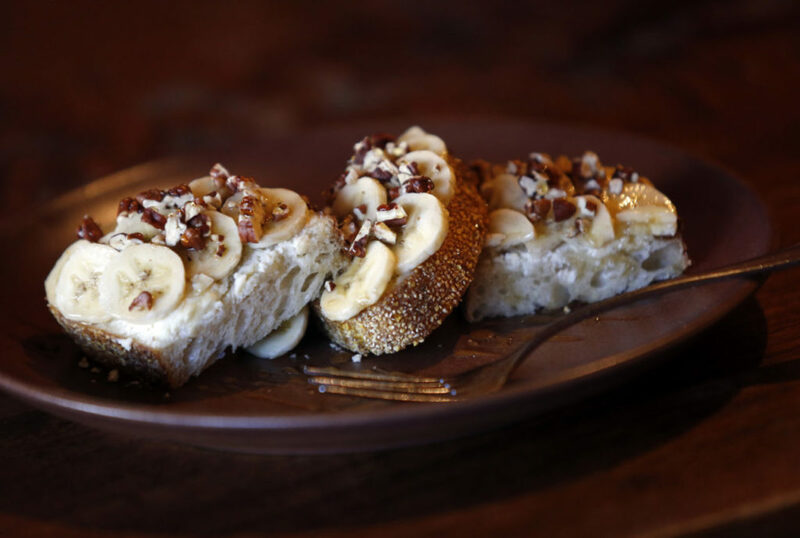 Wishbone, Petaluma: There are just 36 mismatched seats in this rustic cafe, and breakfast types love the six-seat counter next to the open kitchen, near the old-school turntable spinning vinyl. Co-owners Miriam Donaldson and Josh Norwitt source local ingredients for their comfort-food-with-a-twist, bake their own breads and even raise their own Scottish Highland cattle. Delectable dishes include the Wishburger, made with their own Scottish Highland beef and Hot Mess, polenta dotted with house-made pickles, roasted mushrooms, wilted kale, fermented hot sauce and a fried egg. 841 Petaluma Boulevard North, Petaluma, 707-763-2663. Fremont Diner, Sonoma: Hidden away among Sonoma’s vineyards and pastures, is the sort of place every traveler dreams about stumbling into, but rarely ever does. 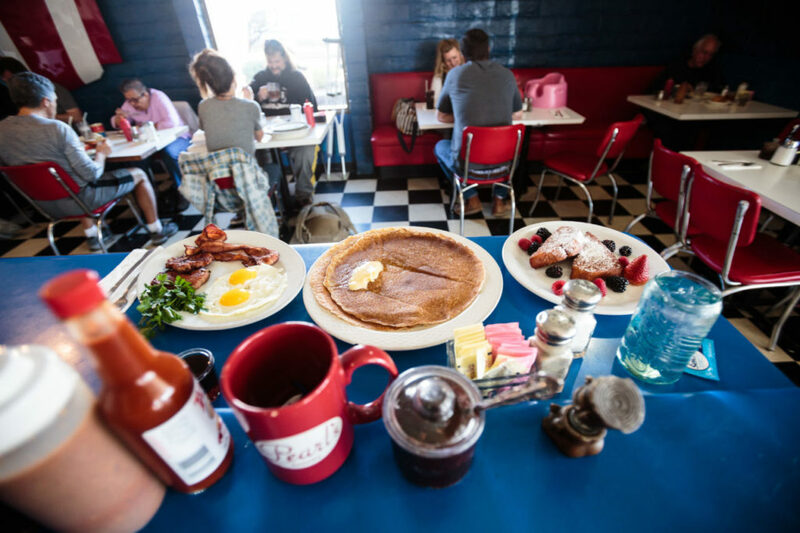 Oozing nouveau decrepitude, a heavy dose of John Deere chic and the irresistible lure of a butter and pork-soaked menu that would bring a tear of recognition to grandpappy’s eyes, the diner is everything good about, well, roadside diners. Here, “Praise the Lard”, isn’t just a quirky tag line, but a mission from 7 a.m. to 4 p.m. daily. Biscuits and gravy, shrimp grits and ham biscuits, but chicken and waffles make the trip extra worthwhile. 660 Fremont Dr., Sonoma, 707-938-7370. Pearl’s Diner, Sonoma: You don’t need a stylish setting when it’s all about delicious belly fillers such as Isaac’s 2-by-2: two eggs, two pancakes, two slabs of French toast, two bacon strips, two sausage links and two Alka-Seltzer tablets. (Really). 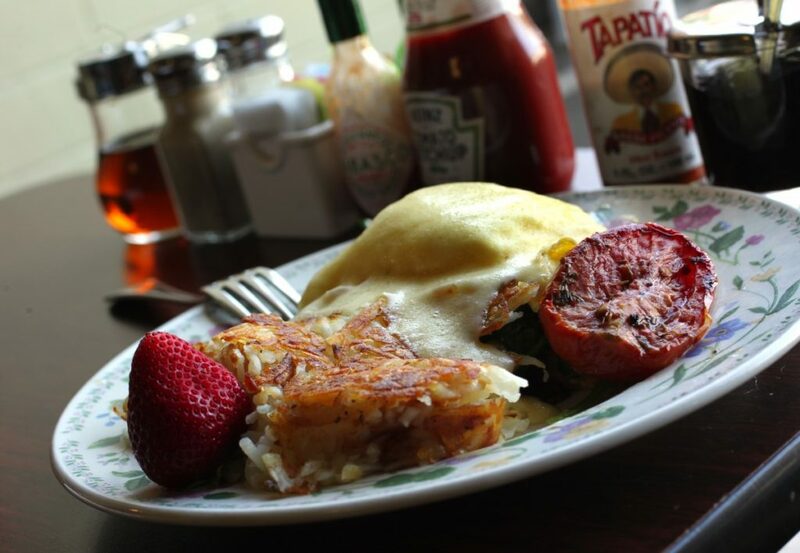 This neighborhood hangout is a longtime favorite for joyful artery-cloggers like the Hey Haystack, a ham steak or hamburger patty topped in Cheddar and jack cheese, two eggs and grilled onions, all atop hash browns and with toast. 561 Fifth St. W., Sonoma, 707-996-1783. Sunflower Caffe Espresso & Wine Bar, Sonoma: This charming little garden cottage sources a proprietary blend of fair-trade espresso and coffee beans, roasted in Marin by Equator Coffee & Tea for a fresh, rich and bold profile. Espresso, prepared double-ristretto style for a powerful punch, brims with notes of dark chocolate, caramel, nougat and nuts, while coffee, offered as French press or drip, has a subtle kiss of sweet chocolate flavor. Or get a sweet or spicy chai latte “dirty” style, with a shot of espresso added. 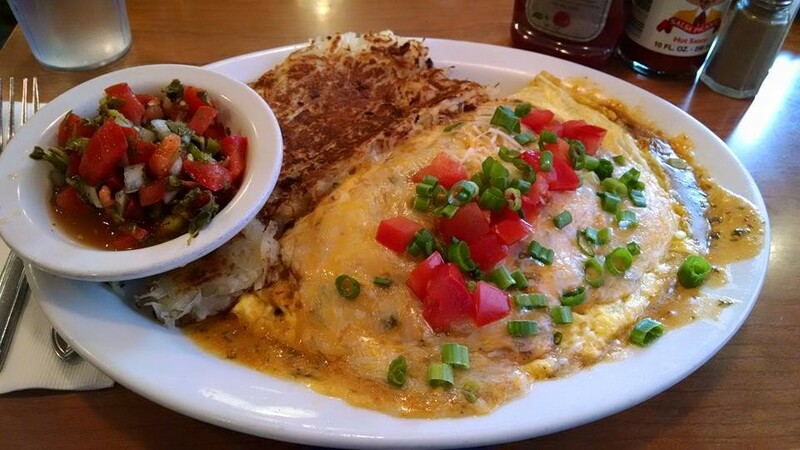 Whatever you choose, the complex drinks stand up perfectly to the Peruvian spiced chicken omelet jazzed with cilantro lime cream, sweet-spicy aji chile crema and black bean chili. 421 First St. W, Sonoma, 707-996-6645. 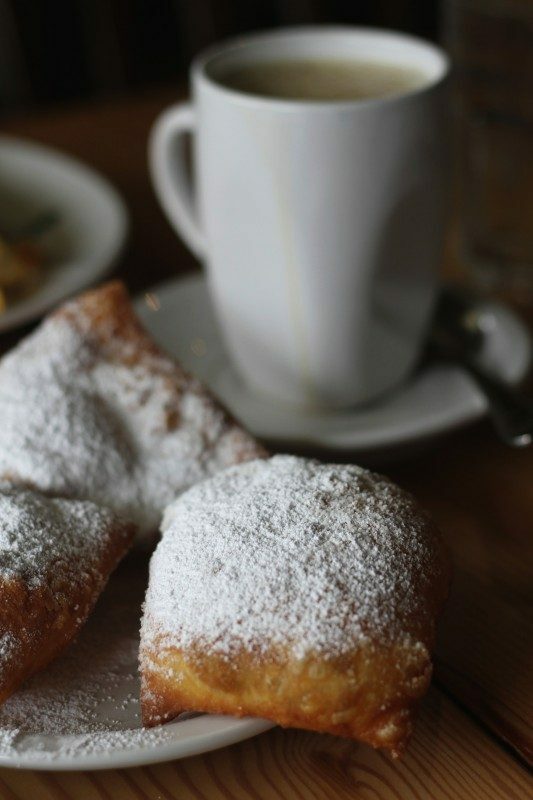 The Parish Cafe, Healdsburg: One word: beignets. 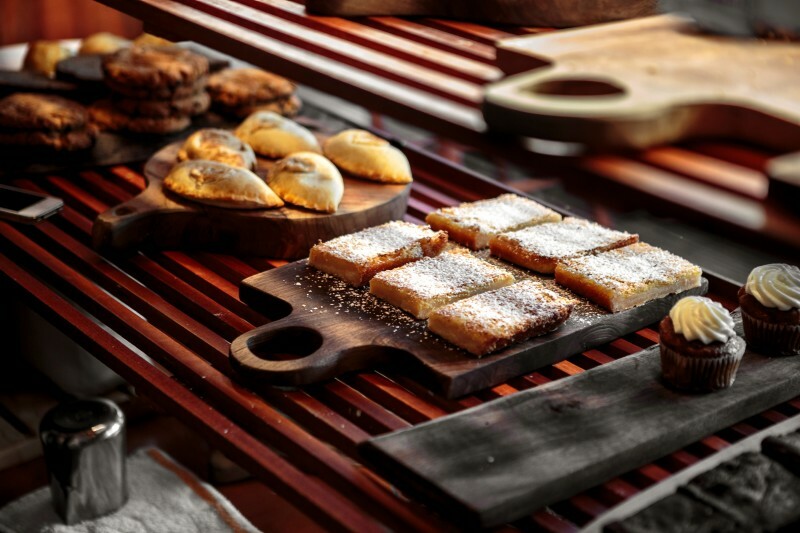 If that’s all you have for breakfast, no one will fault you, since the feather-light French pastries are rolled out by hand before being quick-fried and smothered in powdered sugar. 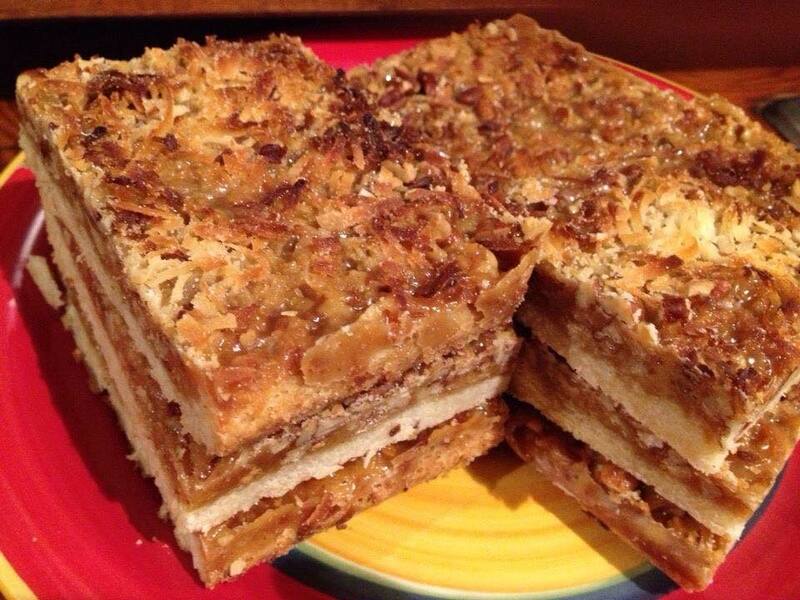 Paired with a rich, smooth chicory café au lait, they’re all a soul needs. 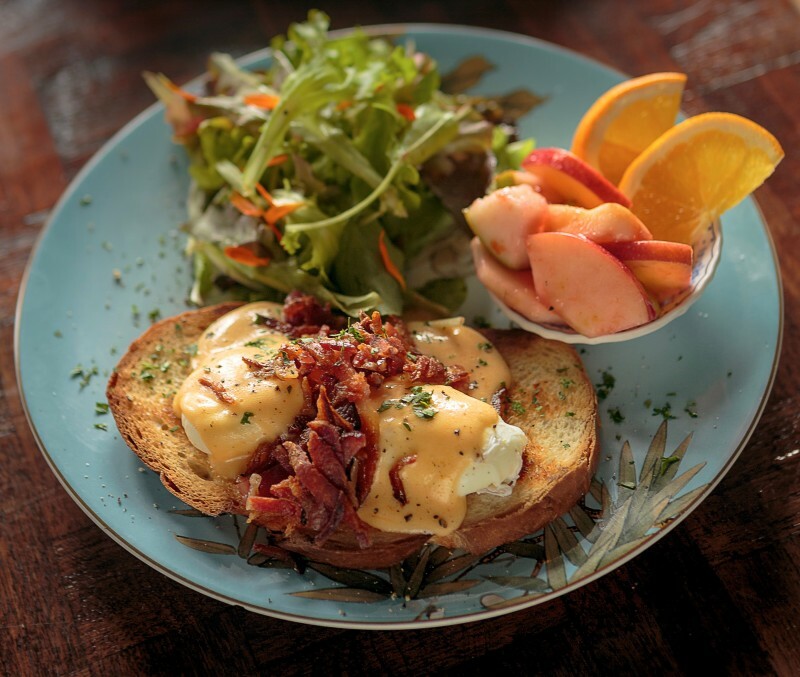 Chef and owner Rob Lippincott honors his Louisiana heritage with New Orleans masterpieces such as Eggs Nouvelle Orleans (think eggs Benedict), piling poached eggs, mounds of sweet blue crab meat, silky house-made hollandaise and a scattering of shallots on crisp buttered French bread. 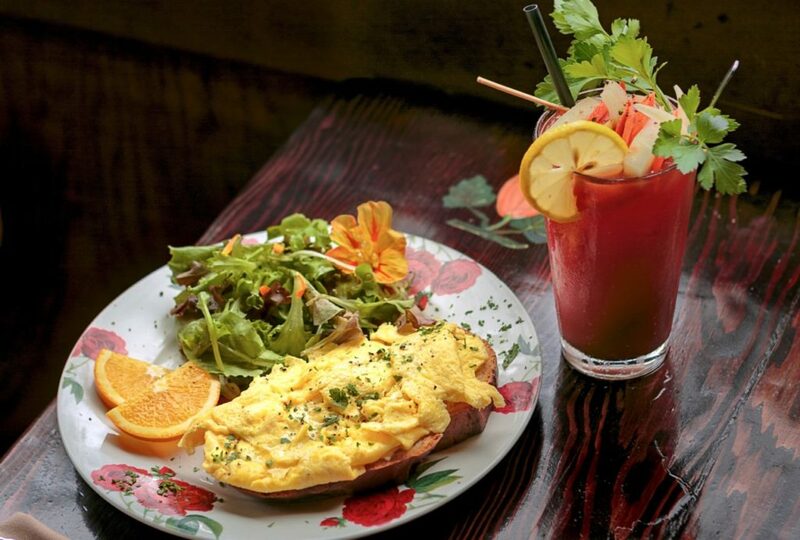 All around, polished wood-plank tables are laden with plates of baguette po’ boys stuffed with eggs over medium, savory Black Forest ham, provolone, spinach and tomato; crawfish-andouille omelet; or shrimp and grits studded with bacon. Still craving sweet? The Bananas Foster Pain Perdu will set you up, with fluffy French toast gilded with fresh bananas, pecans and maple bourbon sauce. 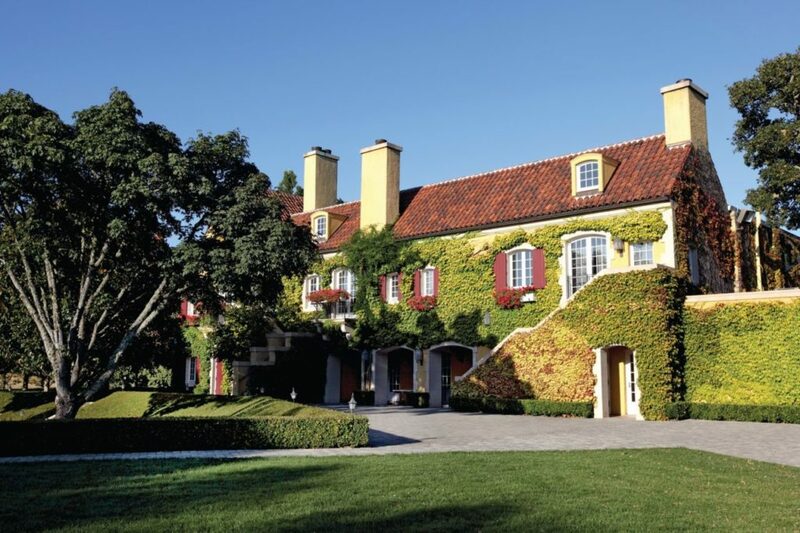 60 Mill St., Healdsburg, 707-431-8474. Willow Wood Market & Café, Graton: Man does not live by fried and scrambled eggs alone. 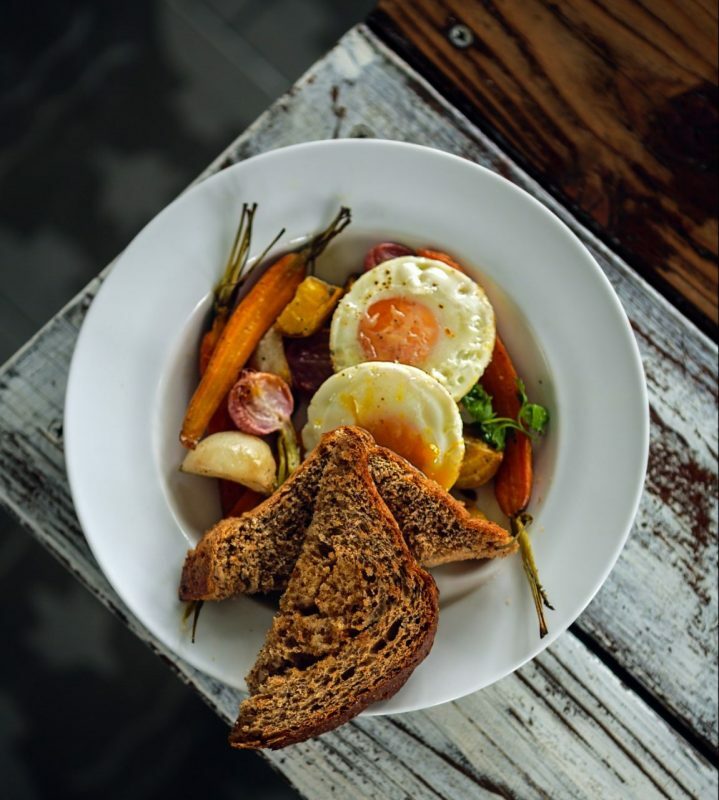 He needs luxuries like French folded soft-set eggs slow-cooked in a double boiler, then draped with fontina cheese and fresh herbs, to be spooned up with toasted local bread, sweet butter and blackberry preserves. The eclectic, country-chic Willow Wood does pasture-raised chickens proud, crafting a Venetian platter of poached eggs on buttered toast with prosciutto and shaved Parmesan cheese; a casserole dish layered with eggs, Black Forest ham, goat cheese and torn herbs all popped in the oven and baked to bubbling; a Market Plate Breakfast of sautéed spinach and coppa partnered with polenta, blue brie toast, roasted tomatoes and a soft-boiled egg. 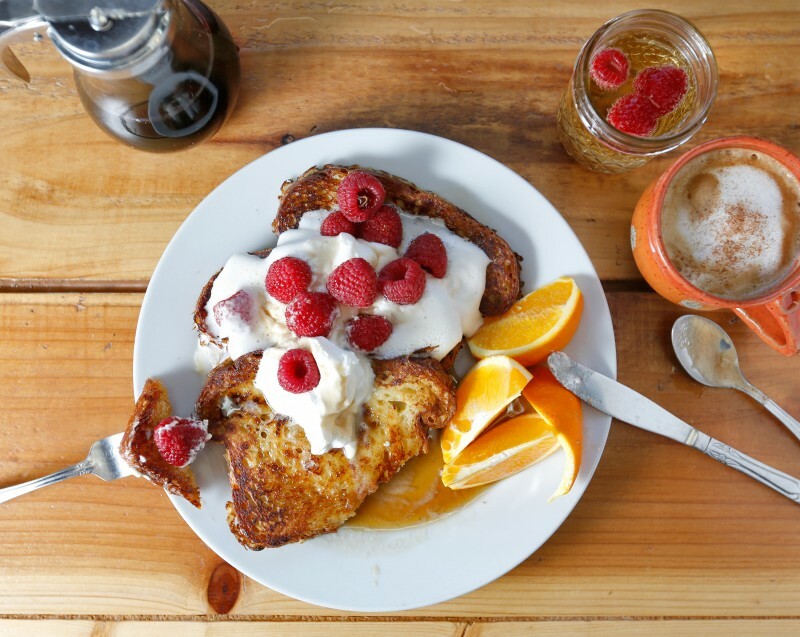 Sometimes the eggs are hidden, as in the coating for the Monte Cristo: challah French toast stuffed with Black Forest ham and Jarlsberg cheese, fried and smothered in toasted hazelnuts, strawberries, maple butter and syrup. 9020 Graton Road, Graton, 707-823-0233. 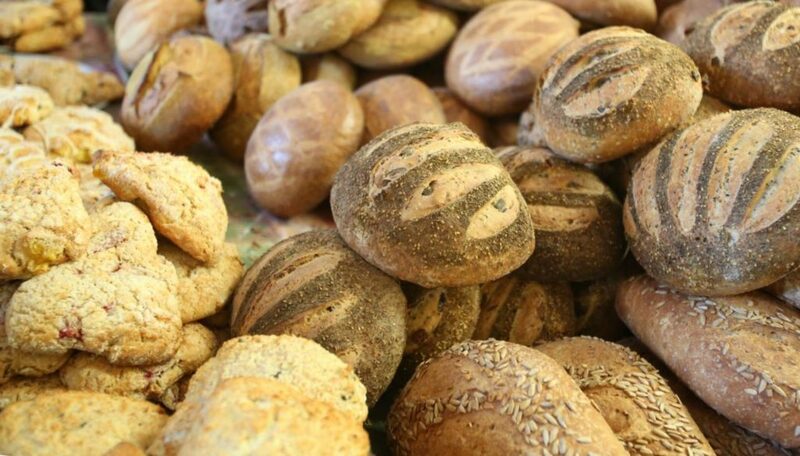 Wild Flour Bread, Freestone: Man can live on bread, water and cheese, if that bread is the organic, sourdough-based loaves Jed Wallach fires in tiny Wild Flour Bread’s wood-burning brick oven. The water is pumped from the fresh spring wells surrounding the charming bakery’s gardens, and the cheese comes from Freestone Artisan Cheese next door. Cheesemonger Omar Mueller specializes in hyper-local, small-batch cheeses made from milk from local creameries. They’re divine with Wallach’s baguettes, goat-cheese flatbread and the Bohemian loaf studded with apricot, orange and pecan. 140 Bohemian Highway, Freestone, 707-874-2938. 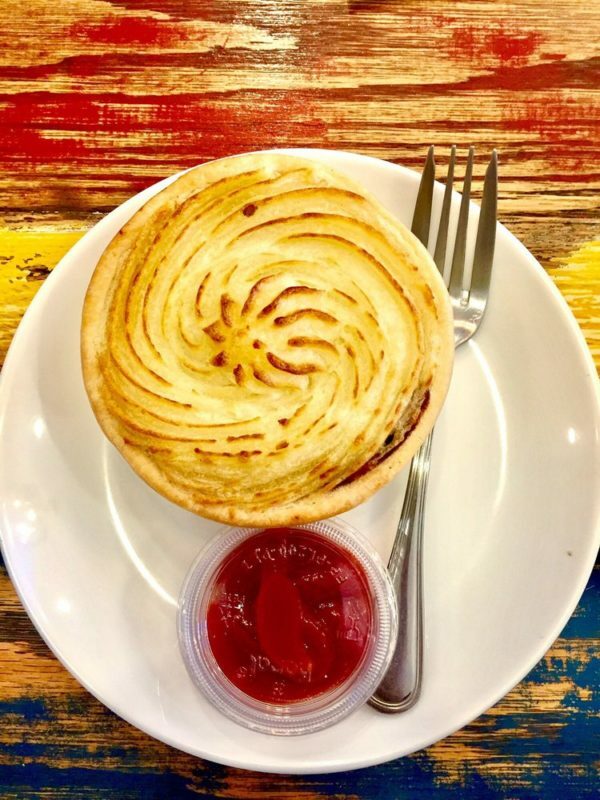 Tiny Town Café, Forestville: It is indeed tiny, but the kitchen thinks big with an extensive array of fresh-baked goodies. Go for the homemade coconut-pecan caramel bars, bear claws, apple-raspberry turnovers, cherry- almond scones, and the Sunday signature, the malasadas: deep-fried, Portuguese-Hawaiian sugar doughnuts. The mood is delicious, too, with a record player spinning real vinyl, colorful mismatched plates, and a living room vibe. 6544 Front St., Forestville, 707-887-1400. 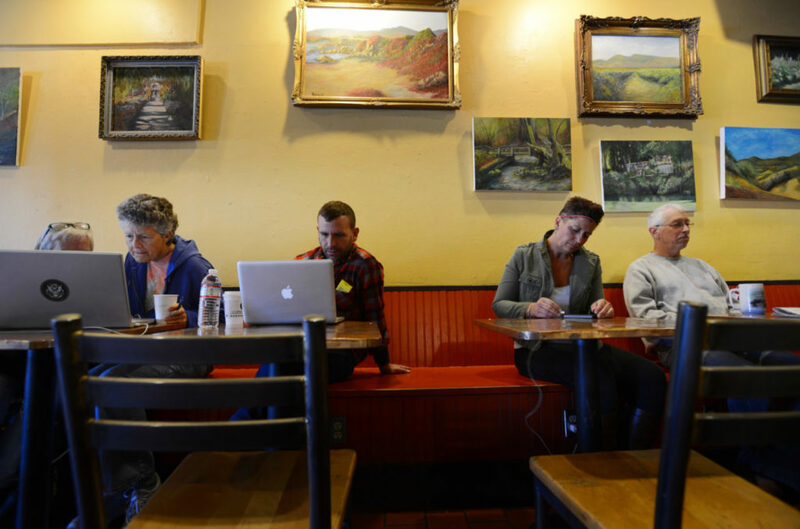 Coffee Bazaar, Guerneville: Regulars come to this artsy salon for the ever-changing “Today’s Brew” from Russian River Roasters, plus barista-perfect lattes, mochas, Mexican mochas, Mexican hot chocolate and espressos with a shot of Torani syrup. Plan on lingering awhile over the excellent used-book collection or a game of cribbage, then treat yourself to an affogato, a double shot of house-roasted espresso over a scoop of Umpqua or Three Twins ice cream. Hungry types can dig into croissants plump with egg, ham and cheese, or chocolate. 14045 Armstrong Woods Road, Guerneville, 707-869-9706. 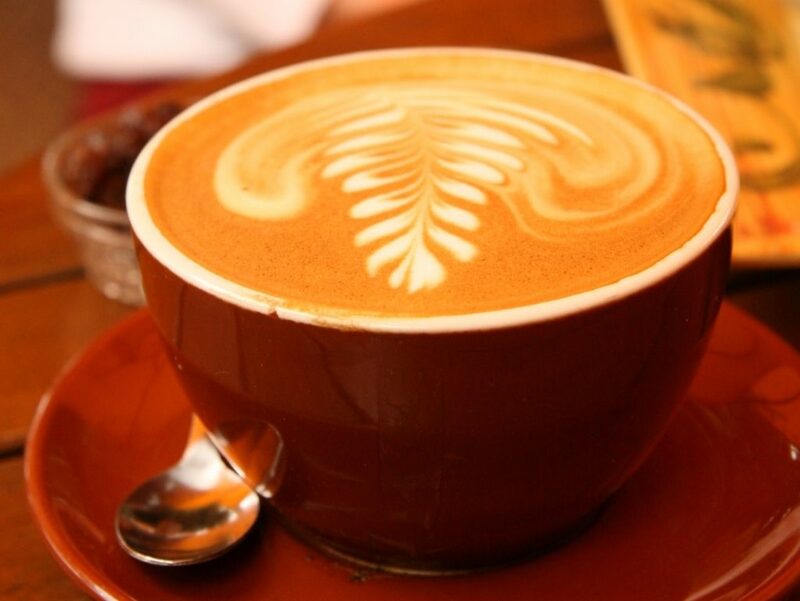 Gold Coast Coffee & Bakery, Duncans Mills: The coffee beans are roasted on-site, for a variety of pick-me-up drinks such as espressos, vanilla soy lattes, mochas and espresso shakes. Sip the good stuff alongside croissants, bear claws, cheese pinwheels and cinnamon rolls baked in the wood-fire oven located off the garden deck. Attention to detail? You bet. Iced coffees are made with coffee ice cubes so they don’t get watered down, and there are even decaf coffee cubes. 23577 Steelhead Blvd., Duncans Mills, 707-865-1441. Estero Café, Valley Ford: If only more menus had an asterisk at the bottom stating that they deep fry their potatoes in local pork lard. 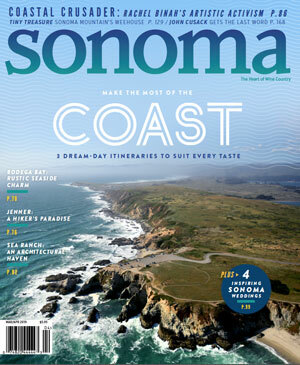 That alone is worth the cost of admission, though the breakfast sandwich of two fried eggs, grilled Village Bakery sourdough bread, Estero Gold cheese, onion and mayo with bacon from the Sonoma Meat Co. will fill your belly for a long day of hiking along the coast. Owners are dedicated to using local produce and ingredients, making it a legit spot for true farm to table eats. Wednesday night dinner is served weekly, but the spot is typically a breakfast, brunch and lunch spot where you find locals hunched over a cuppa joe at the counter. 4450 Highway 1, Valley Ford, open 7a.m. to 3p.m. It’s a given that breakfast is the most important meal of the day, but why not have it be the most delicious? These places around Sonoma County are the best spots to start your morning with a kick of flavor. 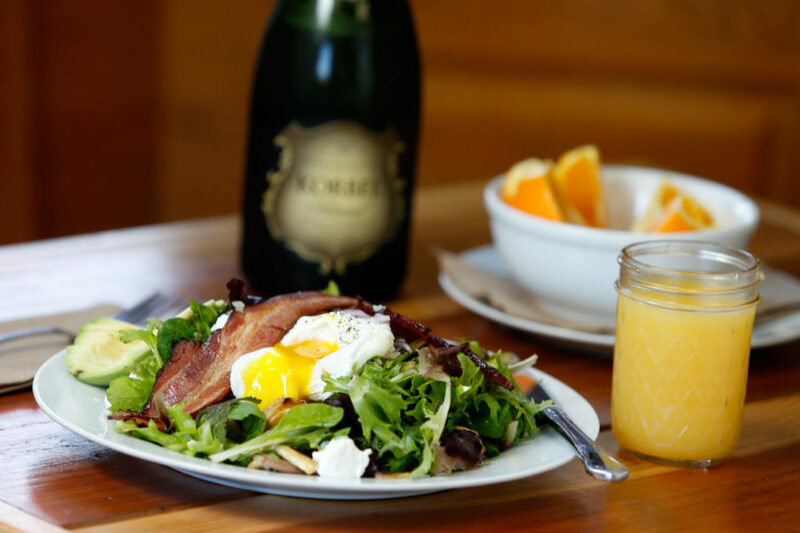 Click through the gallery above for our favorite Sonoma County breakfast spots to get you up and going.